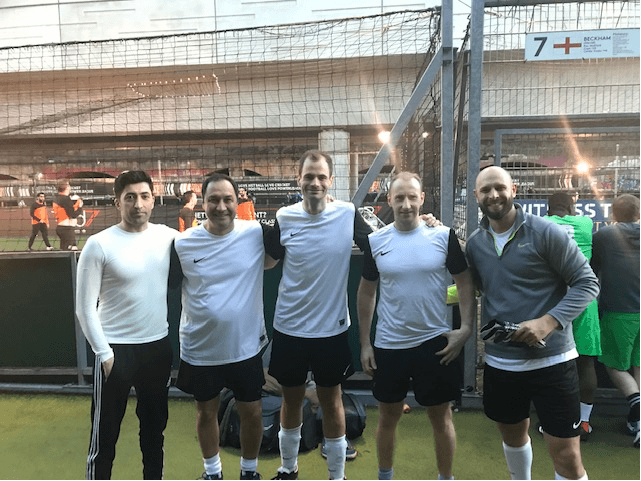 On Friday, 19th October, Colman Coyle took part in a charity 5-a-side football tournament in Shoreditch hosted by its client, Kingpin Communications, to raise funds for Great Ormond Street Hospital and a primary school in South Africa. Whilst it was the taking part and fundraising that counted most, the team defied admittedly low expectations to reach the quarter finals. Sore limbs and slightly sore heads were felt by all on Saturday morning but it was a small price to pay! Congratulations to everyone who participated in the football tournament and raising funds to support both charities.